EE, the UK’s most advanced digital communications company, unveils EE TV, the UK’s most advanced TV service. EE TV puts mobile at the heart of the TV experience, and works seamlessly with home TVs, tablets and smartphones, allowing customers to access the best of live and recorded Freeview, On Demand and Catch up across multiple devices simultaneously. The growing availability of sophisticated tablets and smartphones, and the introduction of 4G across the UK, has fundamentally changed the way consumers enjoy TV. Video content today makes up more than 50% of EE’s 4G mobile network activity. 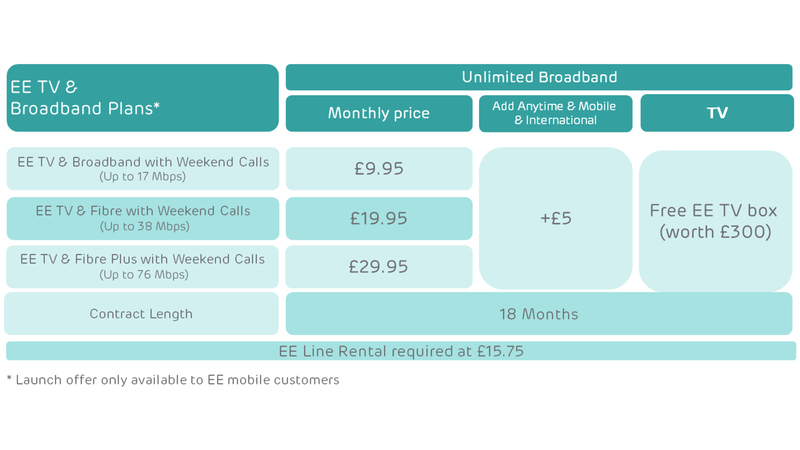 Based on the experience gained from running the UK’s most advanced 4G and home broadband network, EE has developed a truly integrated mobile and home TV service. EE TV will allow viewers to watch their favourite programmes on their home TV, as well as on up to three smartphones or tablets simultaneously, anywhere in the home, meaning four different programmes, in four different rooms, on four different devices all at the same time. EE TV launches as the most advanced TV service for the home. In the future, however, EE TV will allow customers to enjoy their favourite TV content on the go, using EE’s 4G network - the biggest and fastest in the UK. Olaf Swantee, CEO, EE, said: “Today we’re announcing the most advanced TV service the UK has ever seen. How, where and when people watch TV and movies is changing, and mobile technology is driving that change. Multiscreen: Designed to make programme clashes a thing of the past, Multiscreen allows users to stream live and recorded content directly from the EE TV box’s hard drive using a new remote app for iOS and Android. Up to four devices, including the home TV, tablets and smartphones, can stream different content at any one time, ensuring all members of the family can remotely access their favourite live and recorded shows over the same home network, in different rooms, even if they can’t get access to the main TV set. The EE TV app enables viewers to use their tablet or mobile as a next-generation touch remote. The app allows users to navigate EE TV’s programme guide and select the content they want to watch on their mobile device without interrupting what’s being displayed on their TV screen. Then,with a simple upward Flick, the content they’re watching can be instantly transferred to their TV screen, making changing channels more natural than ever before. ** Up to 10GB data boost is available on PAYM plans from £14.99. A 20GB data boost is available on plans from £43.99. The data boost is also available on select SIMO plans.